Ai earns points with me for not doing well in cold weather. It’s always nice when a character and I have something in common. The opening theme with its soothing song and different animation each episode never fails to impress. Winter is approaching, and the Undines are already donning their winter uniforms. Having lived my whole life split between southern California and southern Arizona, such cold weather and concepts such as snow are rather foreign to me, more so than Japanese animation by now. 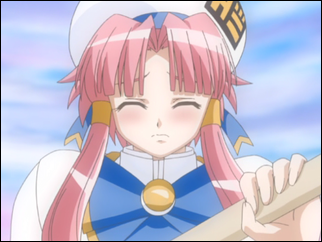 If I tried visiting a hot spring, I’d probably face the same difficulties as Akari does. I hadn’t caught on to it before, but the Salamanders keep Aqua warmer than its true temperature, probably in the summer as well as the winter. This works with the mythos connecting Salamanders with fire. I wondered before where the connection is, and I now notice Akatsuki’s uniform has fire markings on its design. Looking more at technology, Akari mentions holograms, something difficult to imagine with the setting of Neo Venezia, even though so much technology is actually all around. When Akari first arrived in Aqua’s atmosphere, it looked as if the floor of the ship became a view of Aqua from space, as if the bottom of the ship vanished to allow for a view of the descent. Flat monitor, or holographic projection? Seeing the mailman again is a nice sight. A peaceful scene, showing Akari one of the nice things that comes along with winter. 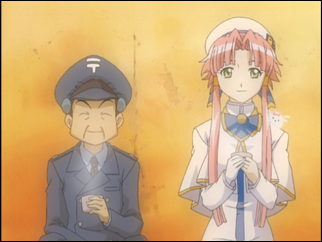 Any other character could have been seen alongside her in some way, but the useful mailman instead returns. His tea and laid back demeanor fit in a way perhaps only Alicia could match. This time around, we see a hot spring through the eyes of Akari. 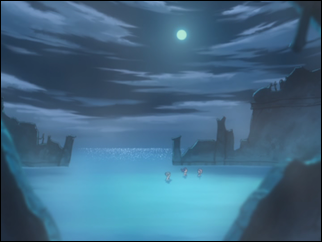 It’s not a standard hot spring like seen in other anime, giving it a unique look. The crumbling structure of the hot springs reminds me of when the cast of Ground Defense Force! 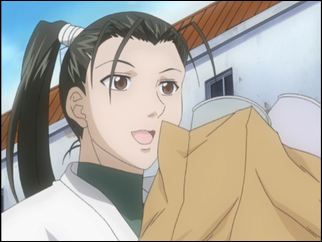 Mao-chan visited the Hinata Inn. The ping-pong ball match only added to the familiarity. The state of the mansion gives a strong feeling to how long Aqua has been terraformed.